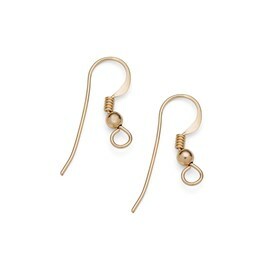 Gold Filled Shepherds Crook Earwire with Ball and Spring. 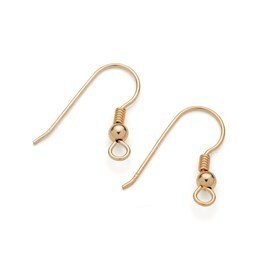 These gold filled (also known as rolled gold) earwires are a popular earwire for hanging your own designs from and a lovely quality. 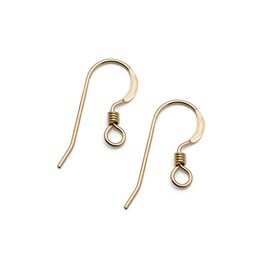 Use these earwires to create your own earring designs or even attach them to cheaper plated earrings if you are allergic to plated metals. 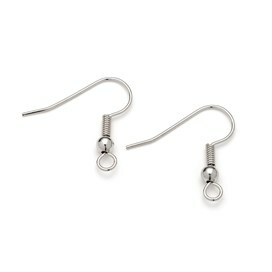 They have an open loop at the bottom which you simply twist open to add your design on. 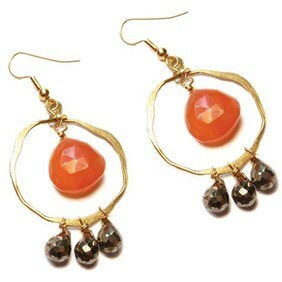 You can make some really striking designs using our chandelier components and gemstone beads! If you wanted to add a little extra security when wearing these earwires you could use our plastic earwire stoppers to prevent them slipping out of the ear.